We are your Walnut Creek CA short sale experts and wish you a Happy New Year! I appreciate you taking the time to watch. I wanted to let you know of a property we just closed in Walnut Creek located in the desirable community of Ashford Court. It is a Walnut Creek CA short sale, located at 2588 Oak Road, Unit number 237. This unique townhome-style condo is located in a gated community, is next to a large park, and backs to Iron Horse trail, convenient for walking, jogging, biking and more! This community is also down the street from Club Sport, BART, and other hotels, restaurants and shopping. 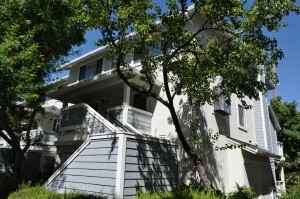 This Walnut Creek CA short sale is a great condo unit. A large two bedroom, one and a half bath unit. Sold it for $305,000, and were able to get the seller’s lender; who was actually Wells Fargo; and here was no second. We just had a first with Wells Fargo, so, Wells Fargo short sale. Get them to approve the short sale, get the buyer in there, get everything closed and the seller out of there without any tax implication, as well as any recourse from Wells Fargo on that short sale. So, if you live in Walnut Creek, whether you’re in Ashford Court, where this property was located at, anywhere in Walnut Creek, and you’re looking to do a short sale, we’re going to be your best solution. We have a lot of experience in that area, and we certainly have worked with every major lender out there. So let us know how we can help with your Walnut Creek CA short sale. We can be reached here.